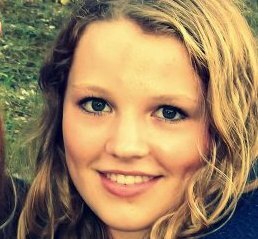 Today we say goodbye to our fabulous volunteer, Lily Kelly-Tarrant. 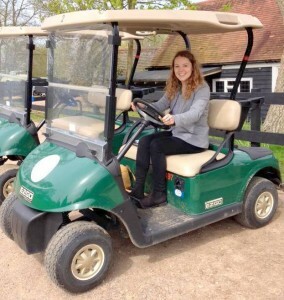 Lily has been volunteering with us in the UK office since November 2015 and in that time, she has supported us on a huge number of different areas from fundraising and communications, to admin and events – not to mention our annual Golf Day! And not that we were counting, but she also managed to write 74 funding applications in her time with us – amazing! Lily has been an integral part of the AR team for the last few months an absolute pleasure for us all to work with. We wish her all the best as she returns to Sussex University to complete her undergraduate degree in International Development for what is surely just the start of a glittering career in development! 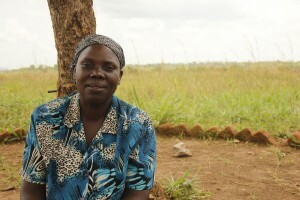 In Northern Uganda, the rainy season starts in April. 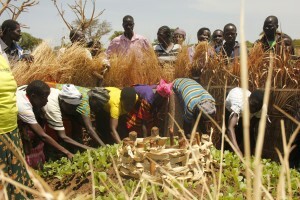 When the rains start, farmers begin planting their crops. For the pupils and parents involved in our School Garden programme, the beginning of the year is the time to reflect and plan for the next growing season. 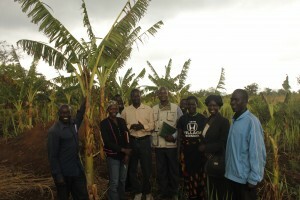 Lujuro Primary School learnt recently that onions withstand drought and last season, they made £280 from selling onions. Over the last year, the 15 primary schools we work with made a total of £1,640 from selling school garden produce and saved an amazing £3,920 in their Village Savings and Loans Associations. We have high hopes for this growing season! 15 of African Revival’s partner schools in Northern Uganda have registered for the Teach a Man to Fish School Enterprise Challenge. To take part in the challenge, African Revival’s Pupil Farmer Clubs develop and submit a business plan and get feedback, before launching their idea at school! We will give them lots of support as they design and set up their school businesses growing and selling produce. The challenge is a fun way for pupils to learn practical transferable skills in farming and business – as well as raise some income for their school! Last month, we launched our new Speed Schools programme with new partner, Geneva Global. Speed Schools is an accelerated learning programme for children who have missed out on a lot of schooling. In just 10 months, we will take 750 children through the curriculum they have missed during the first three years of primary school! This means that by the start of the next academic year (February 2017), they will be able to join Year 4 of mainstream primary school. In May, we’ll be taking a closer look at the programme with updates, interviews and articles. Watch this space for an introduction to our two new Speed Schools staff, Phillip and Lucy, and hear more from the children and parents involved! 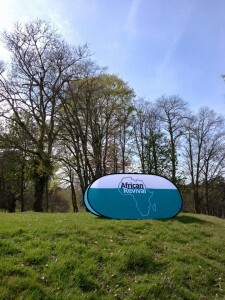 On Thursday 21st of April, African Revival hosted a another very successful annual Golf Day. 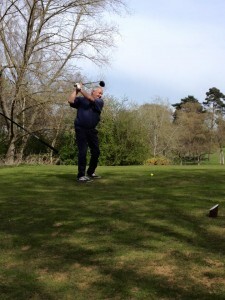 Sixteen teams of four worked their way around the stunning 18 hole course at the Warren Estate in Essex, with many players also participating in our ‘Yellow Ball’ and ‘Hit the Green’ competitions. 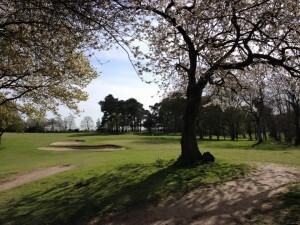 The day started smoothly as the Warren Estate staff welcomed our staff and volunteers to the clubhouse. Every effort had been made to make the event a success. Each golf team was assigned two buggies to get them around the course, and after some bacon rolls and a short introductory speech from our host Steve Mcpherson, the players teed off at 12.30pm. 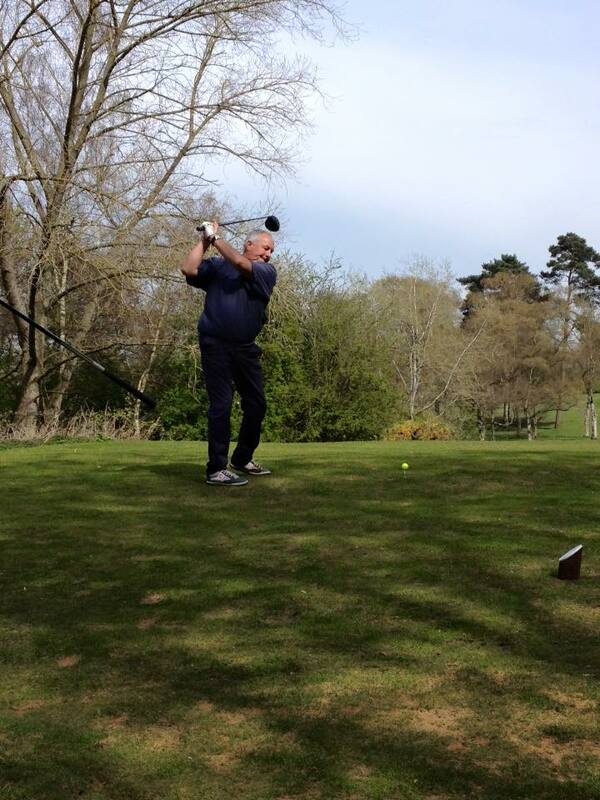 The golf was followed by a delicious three course meal along with a prize-giving for the day’s winners – congratulations to Academy Insurance for the second year in a row! – and a live and silent auction. 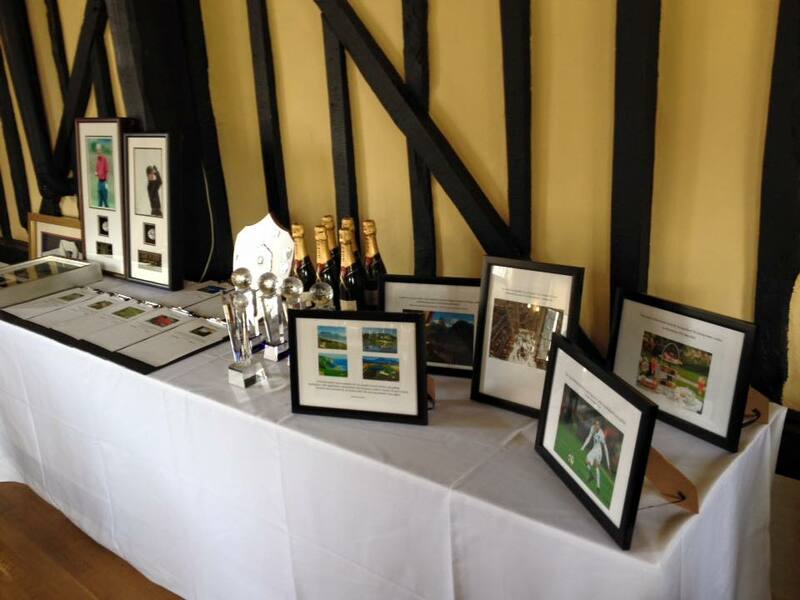 We had an array of excellent lots very kindly donated by our supporters, including a week in a luxury South African Golf resort, signed memorabilia by golf stars Arnold Palmer, Jack Nicklaus and Gary Player and even tickets to see England’s football team play Malta at Wembley stadium. With a grand total of £17,500, this year’s Golf Day has been the most successful to date! 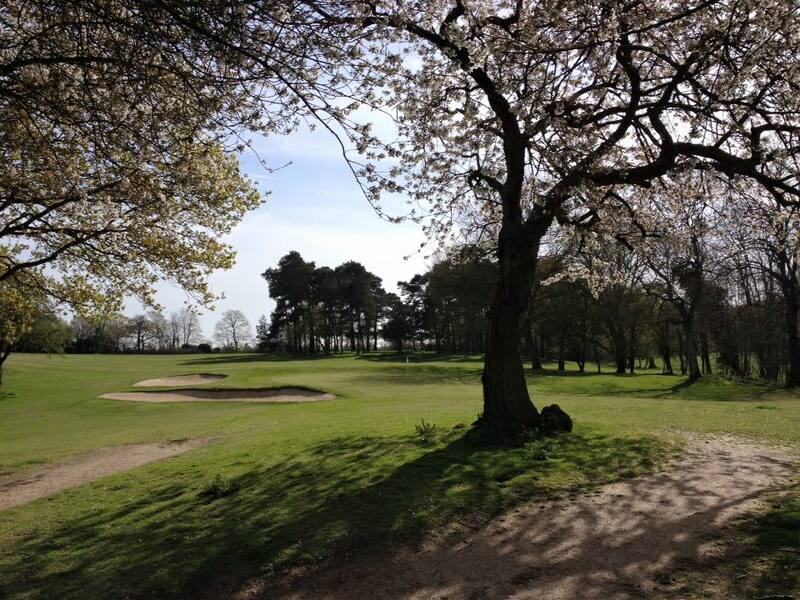 We could not have achieved this without all the incredible people who supported us in the run-up to the Golf Day, and on the day itself. First of all we would like to thank the Warren Estate for hosting our event, and thank you especially to the kind and supportive staff who worked tirelessly throughout the day to ensure we had everything we needed. 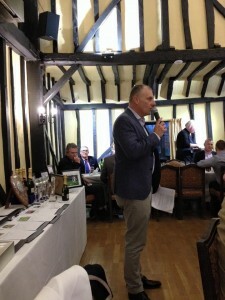 Thank you to Ambant who were our sponsors on the day. 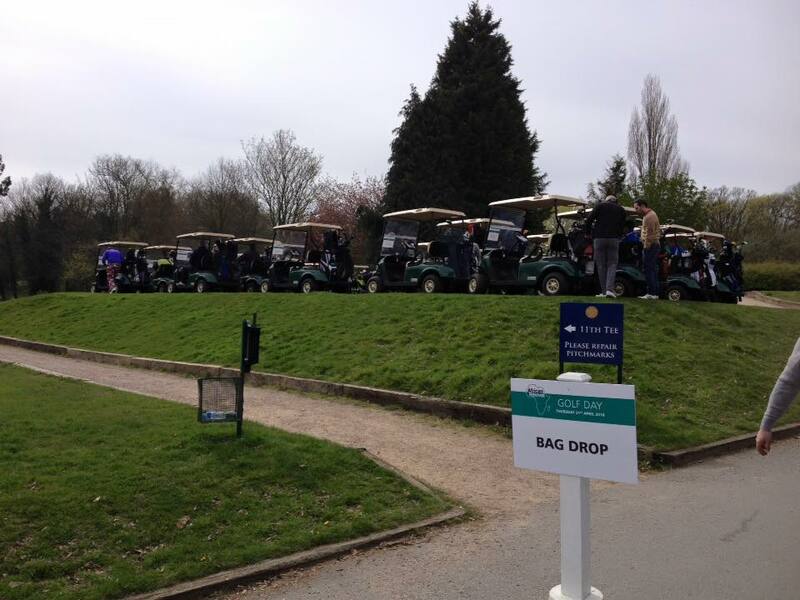 Thank you to all the teams who came along, and to the players who participated in the ‘Yellow Ball’ and ‘Hit the Green’ challenges – sorry the wind wasn’t in your favour! 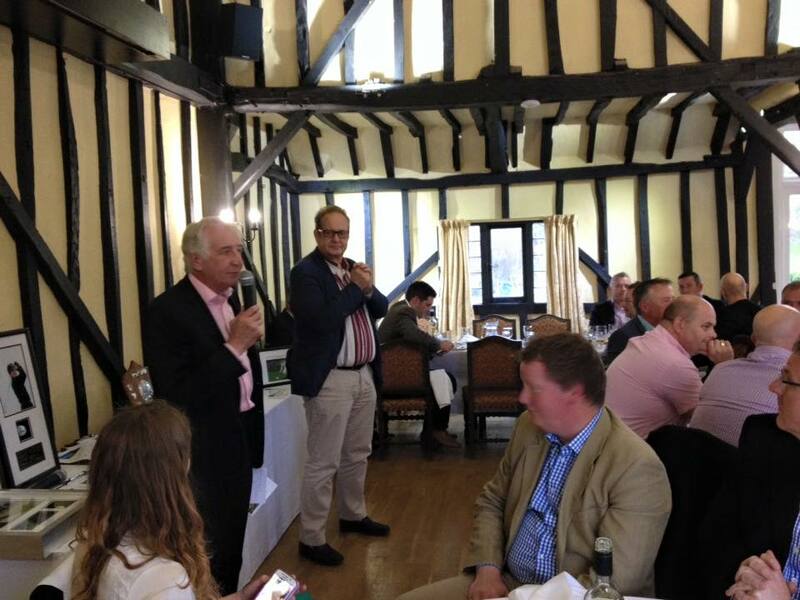 A huge thank you to also the Utley Foundation (and to Neil Utley himself) and to Steve McPherson who was instrumental in the planning and running of the event. We would also like to thank Ian Clark. who has attended countless African Revival events and supported a number of our projects, for making such a good speech on the night. Thank you also to African Revival’s incredible volunteers on the day – you made it happen! Last but not least, we wouldn’t have had such a successful auction without the amazing auction prizes we had so generously donated, so thank you to all those who supported us with those; Steve and Liz Quinn, Tony Allen, Brian King, Kevin Munn, Academy Insurance, Steve McPherson, Texel, Supercar Drive Days Ltd., Open GI, Auto Protect, the Warren Estate, Mrs M P Codrington and Mr E A Codrington, and David Rasche. Your generosity was invaluable. 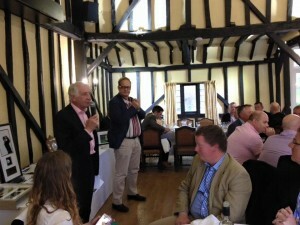 And of course, we couldn’t have done it without our incredible last-minute auctioneers – thank you Tony and David. As we tie up the last post-event details, we look forward to next year’s Golf Day and to welcoming back many familiar faces for another day’s fundraising in aid of African Revival. How well-designed classrooms contribute to a quality education! The classroom environment can improve students’ academic performance by 25% according to a recent study conducted by the University of Salford. Over the last 10 years, African Revival has been working to improve the quality of teaching and learning at primary schools in Uganda and Zambia. 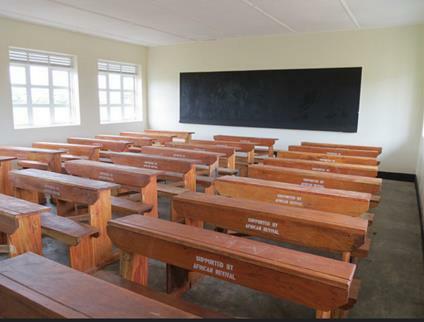 We also provide facilities which improve access to education and are conducive to learning. 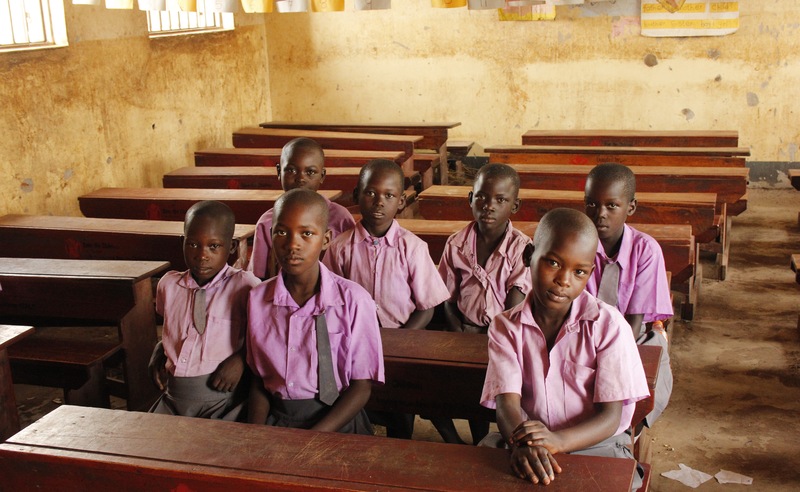 Schools in northern Uganda were targeted by rebel forces during the 20 year insurgency by the Lord’s Resistance Army. School infrastructure was destroyed and many children missed out on access to education. In the decade since peace was restored, we’ve learnt a thing or two about classroom construction. Vincent Komakech, based at our Gulu office in Uganda, has been African Revival’s Construction Project Coordinator for 3 years. Vincent has given us his expert opinion on the design of quality classrooms suited to the local environment. Firstly, orientation of the building is key. 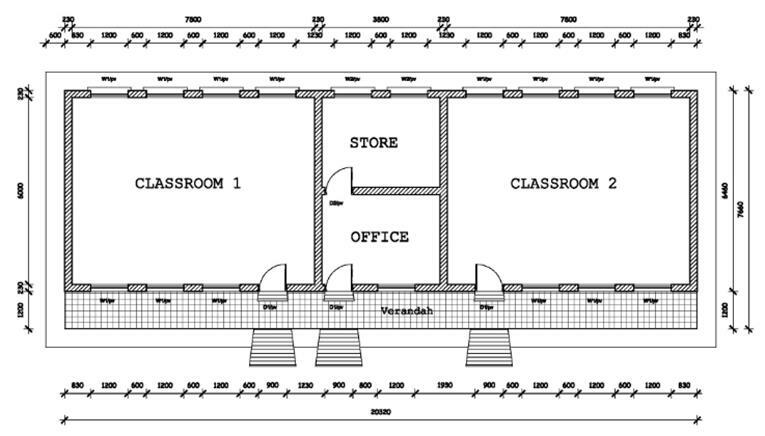 Typically, classrooms are a long oblong shape with windows running along the two longer walls. Building a classroom so that the two windowless walls face East and West means that no direct sunlight will penetrate the windows. This avoids the distraction of sunlight in pupils’ and teachers’ eyes at the beginning and end of the day as the sun rises and sets. 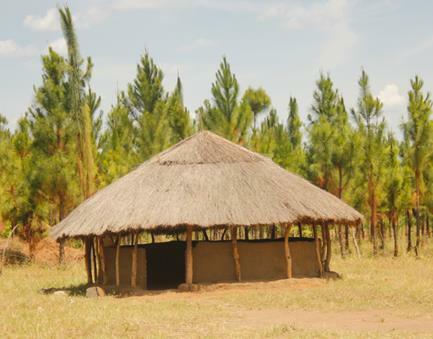 Secondly, the materials used to build and roof a classroom should be durable and strong enough to withstand wear and tear over time. Classrooms are built to last approximately 30-40 years, but ideally longer before having to be repaired or replaced. 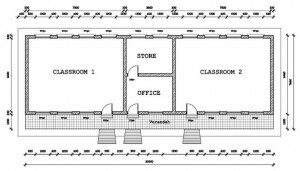 Depending on the individual school, classrooms need to hold anything between 30 to 90 students at one time so buildings also need to be a substantial size. 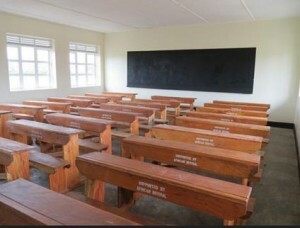 Some government funded secondary schools are built with insulation to reflect heat away from the building, helping to keep it cooler and more conducive to learning. Adding extra layers of plaster to the roof can also muffle the sound of heavy rains which fall between April and September. Unfortunately, such insulation is not used in the construction of most primary school classrooms often due to budget constraints. 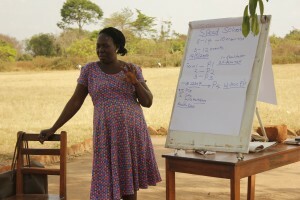 This makes teaching and learning effectively that much harder in the rainy season. Ideally, windows should be large enough to allow adequate ventilation and light. With no access to electricity being the norm at most of the schools we work with, natural daylight is used as essential lighting in classrooms. Air should also be able to flow in and out allowing for a breeze to pass through the classrooms, so windows are purposefully not fitted with glass. 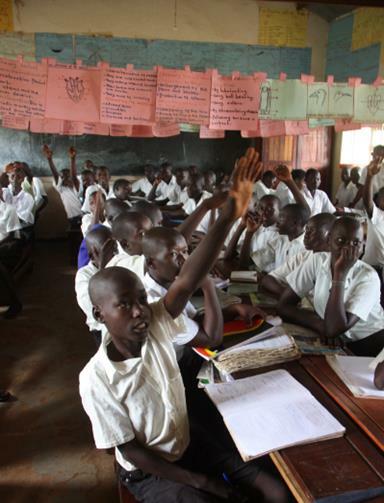 Temperatures in northern Uganda can regularly reach over 30 degrees Celsius in the dry season, so a breeze is keenly welcomed by pupils and teachers! Windows Where possible, windows should be lined with insect-proof screens, similar to mosquito nets but more solid and durable. These not only prevent small insects from using the classroom as a home, but also birds and bats which may leave behind unwanted debris and smells. Small animals may also damage the roofing meaning that is has to be replaced sooner. Using these screens prevents damage caused by animals, making the classrooms more durable in the long term. Windows should also be placed high enough in the wall so that when a student is sat at a desk they cannot be distracted by what is going on outside. Simple ideas such as this can help improve the focus and concentration of students in class. Finally, walls and floors should be easy to clean so that a hygienic and attractive environment is maintained. Vincent describes “walls that talk to the learning students” by which he means wall surfaces which teachers can decorate with posters, slogans and pictures. Doors with a strong lock should also be installed so that classrooms and their contents are secure when not in use. 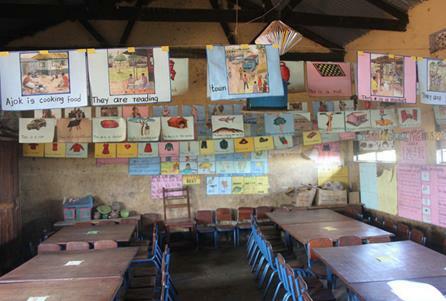 Many of Vincent’s recommendations are included in the design given to government-supported schools by the Ugandan Ministry of Education. However, many rural primary schools are not given any funding or support from the government. This means that their budgets for classrooms are very limited. Often classrooms will be in the form of round mud brick huts with thatched roofs. 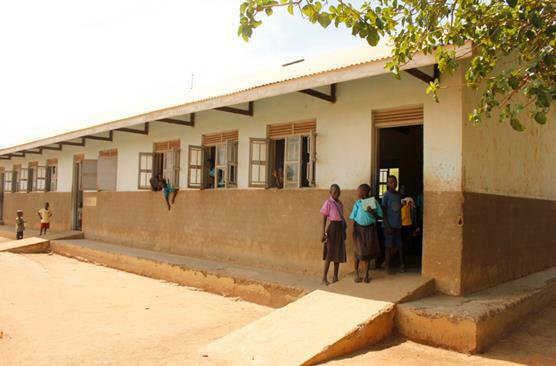 These classrooms tend to be paid for and built by parents, the PTA and School Management Committees. These buildings need constant maintenance and are likely to leak in heavy rains which makes teaching and learning more difficult. 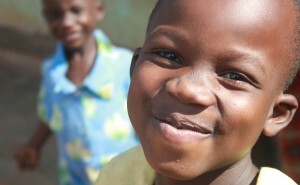 Over the last 3 years African Revival has supported 57 schools in Uganda & Zambia in a variety of ways. 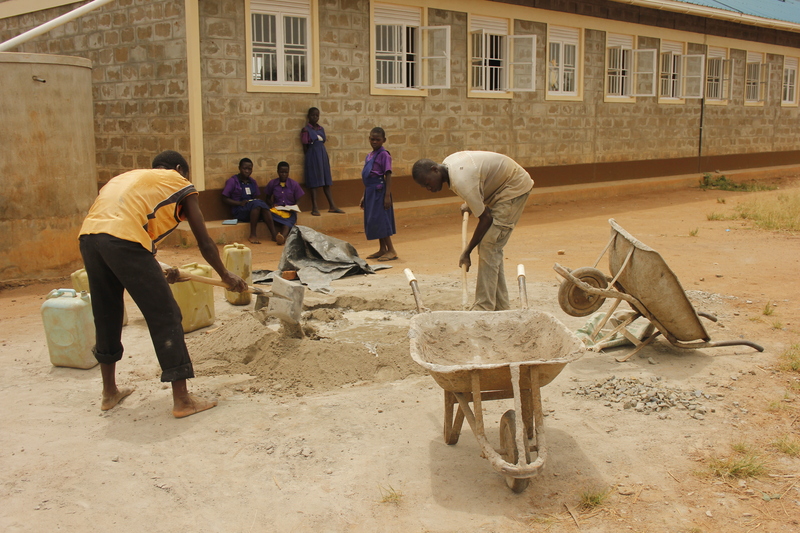 In terms of construction work we have built 4 classrooms, 2 teachers’ houses, 4 toilet blocks, 1 girl’s dormitory and refurbished a library. We hope that with the generous support of our donors we will be able to provide more quality classrooms and other school buildings to schools which are seriously lacking in facilities. Some schools have such high enrolment rates that there may be over 90 students in a classroom built for just 45. With more well-designed classrooms, schools can provide more students with a quality education. What’s the difference between a toilet and a latrine? A latrine is a type of toilet. The term latrine is usually used to describe something simpler and more basic than a flushing toilet. Are there different types of latrines? The most common type of latrine is a pit latrine. A pit latrine usually consists of a deep hole in the ground (the pit), a concrete slab for the floor with a small hole that leads down to the pit, and a shelter. 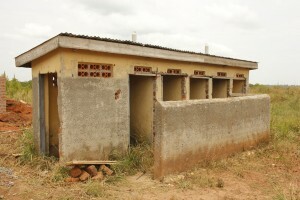 Pit latrines are built away from residences and away from water sources, to avoid contamination. A drainable latrine is a pit latrine that can be emptied. The walls of the pit are lined with brick or cement and the pit is part-filled with water. A pipe leads from outside the latrine to inside the pit. A cesspit emptier can connect to this pipe to drain the waste. With a drainable latrine, it is important to only drop materials into the pit that can decompose. Other materials will block the pipe. An eco latrine enables human waste to be used as fertiliser. It separates solid human waste (faeces) and liquid waste (urine). The solid waste is collected in a pit where it dries and decomposes. The drying process kills pathogens, leaving it safe to use to improve soil. Meanwhile urine is collected separately and can be used in the creation of fertiliser. This kind of latrine is also called a urine-diverting dry toilet. Which type of latrine is the best? Flushing toilets are dependent on the availability of water. 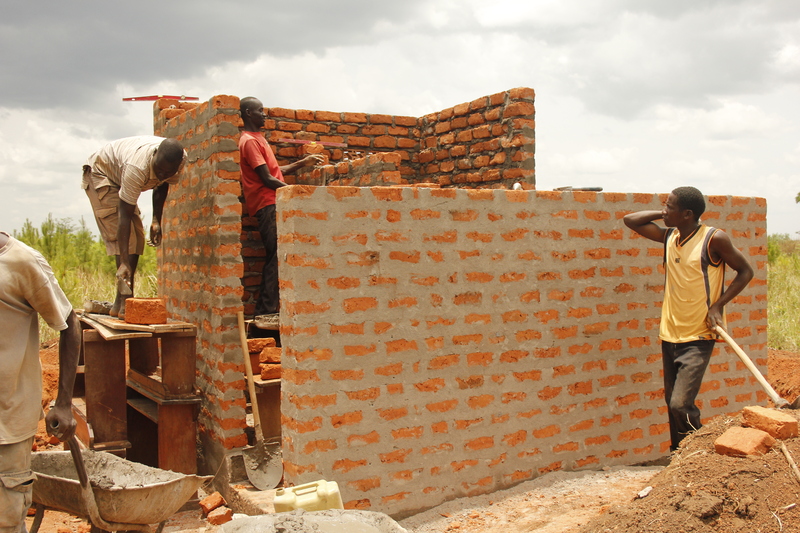 Latrines are cheaper to construct and can be used even during water shortages. But each type of latrine has its advantages and disadvantages. 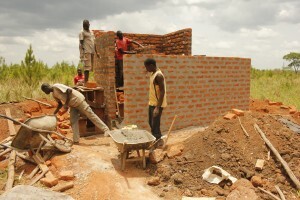 Pit latrines are the cheapest and easiest to construct. But a 5-cubicle pit latrine block at a primary school in Northern Uganda might fill up after 2 years. After this time, the school will need to bury the old pit and dig a new pit and construct a new shelter. Drainable latrines are more expensive to build but last longer. 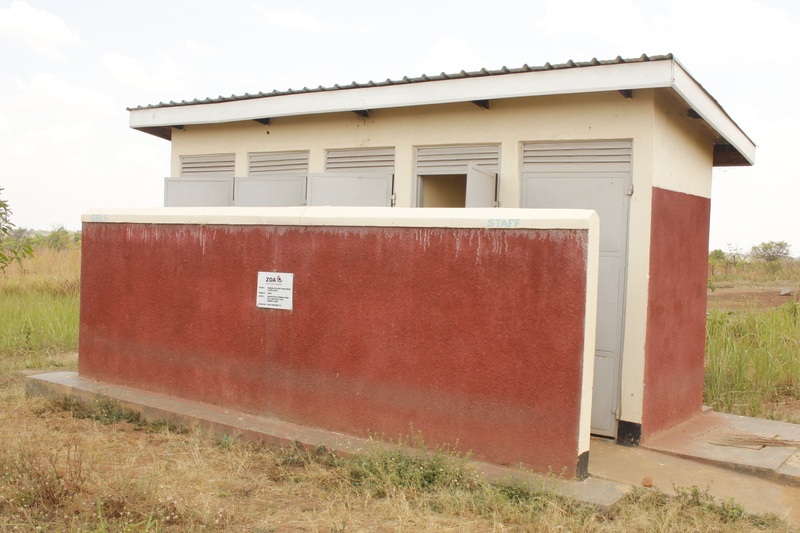 A drainable latrine at a primary school may need to be emptied after 2 years. But as long as the walls are well built, the structure could last over 15 years until any major maintenance is needed. The school also needs to make sure pupils understand what they can and cannot drop into the pit. Eco latrines are the most sustainable as they allow the waste to be turned into something useful. But eco latrines are still a relatively new idea. School communities need to get used to the idea of reusing human waste before they can begin to use them. 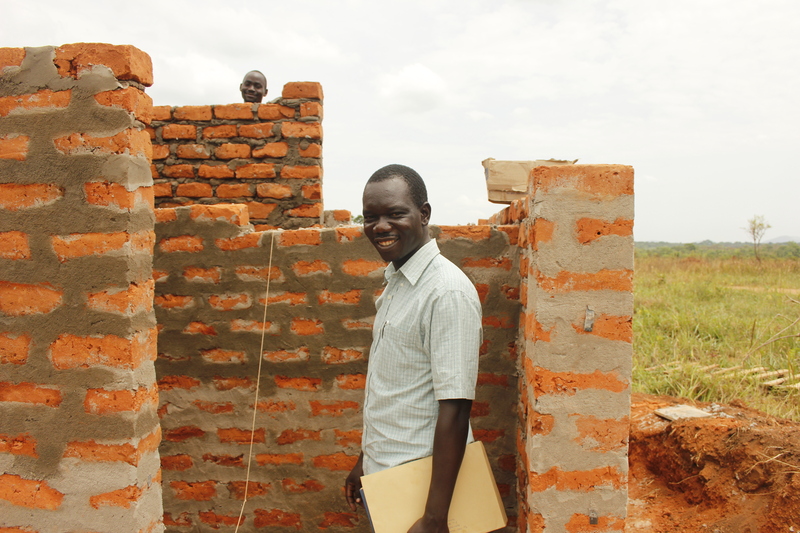 When visiting primary schools in Northern Uganda, African Revival’s Construction Coordinator recommends drainable latrines or eco latrines. They last longer, they are safer, and they are more space efficient. Which type of latrine is the most popular in Northern Uganda? 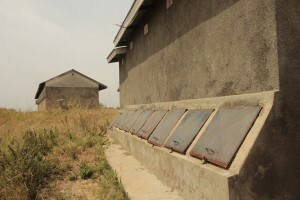 Pit latrines are the most popular in Northern Uganda. 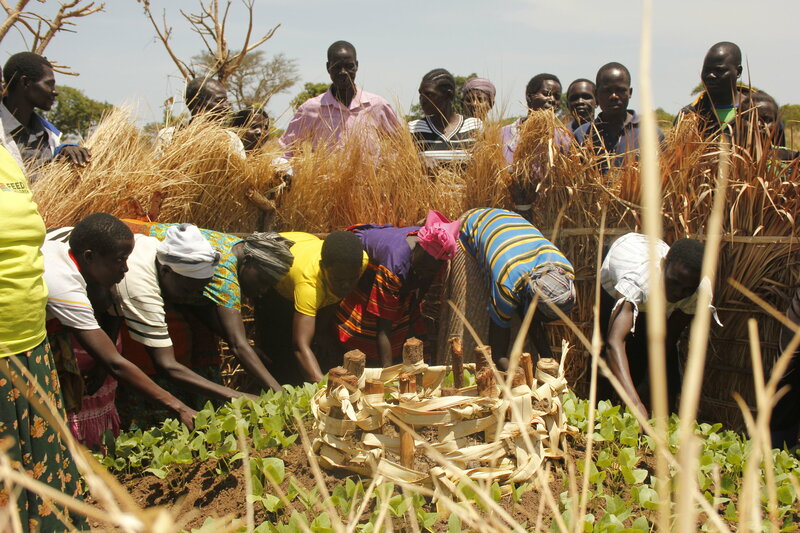 In rural areas, community members can dig a pit, place logs over the pit to act as the floor, and construct a shelter with mud and a grass thatch roof – all traditional and locally available materials. 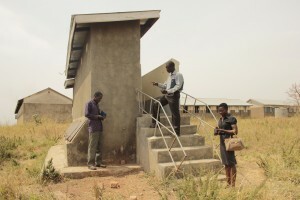 How much does it cost to build a latrine? A 5-cubicle pit latrine block with brick walls costs around £3,000. 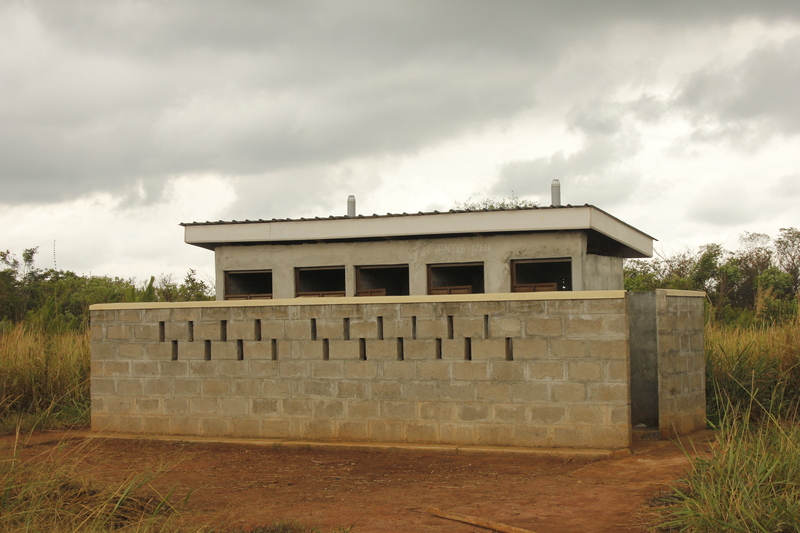 A 5-cubicle drainable latrine block costs a little over £5,000. Improved sanitation facilities ensure a hygienic separation of human waste from human contact. Pit latrines with a slab for the floor, drainable latrines, eco latrines, and flushing toilets all count as improved sanitation facilities. 2.4 billion people worldwide do not have access to improved sanitation (WHO 2015). This means they use latrine facilities that do not hygienically separate human waste from human contact. This includes public latrine facilities, pit latrines without a slab for the floor, or they practice open defecation. Open defecation is the practice of going to the toilet outside, for example in fields, forests, sewers, bushes, or bodies of water, rather than in a designated toilet. Almost 1 billion people worldwide practice open defecation (WHO 2015). When open defecation is practiced in a densely populated area, it becomes a major public health issue. Open defecation can spread diseases such as diarrhoea, intestinal worms, typhoid and cholera. It can also pollute water sources and lead to the spread of waterborne diseases. Do you have a question about what we do or a topic you would like us to cover? Message us on Facebook, tweet us, leave a comment on this news update, or email us here. We’re recruiting for a volunteer! To apply, please submit a CV and covering letter outlining your relevant skills/experience and why you would like to volunteer with African Revival, to Emily Brewster at emily.brewster@africanrevival.org. Why are community contributions to construction projects so important? 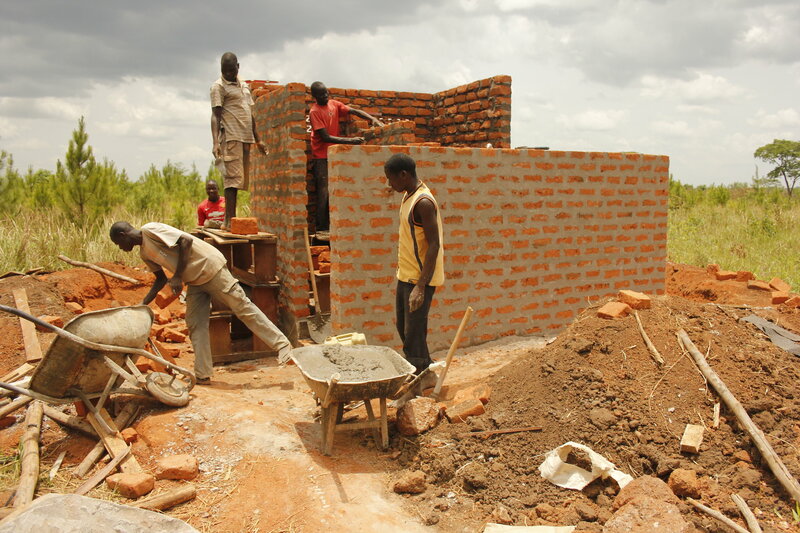 At African Revival, we always ask the communities who benefit from our construction projects to make a contribution. This can be either financial or in the form of labour and resources. But why ask for this contribution? Why is it important for the success of the project? In this article, we explore the benefits of community contribution and ask Construction Coordinator Vincent about what motivates parents to contribute. 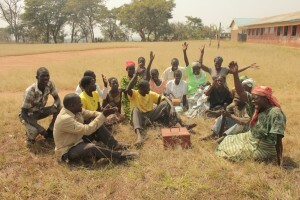 When an outside organisation comes into a rural community to work on a construction project, there is a risk that the community members see the building as belonging to an outside agency. Often this means that they do not have a feeling of responsibility towards it and in many cases do not properly maintain it. They see this as the duty of the outside organisation. This can mean construction projects fall into disrepair and are not sustainable in the long term. Voluntary provision of labour, time, money and materials can also help to break patterns of dependency and passivity. If the community knows that in order to benefit from a construction project, they will also need to contribute, this can help to counteract a hand-out culture inspired by decades of free projects and facilities. 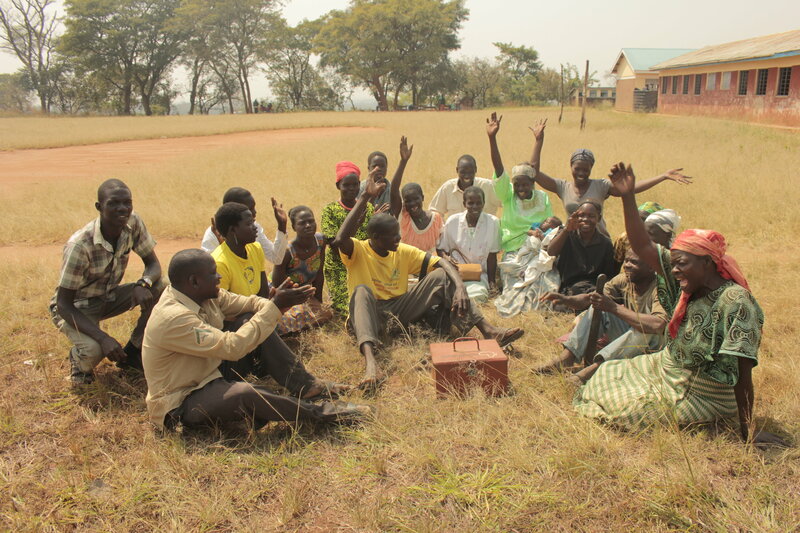 Involving a community in the planning and implementation process can also empower individuals by giving them decision-making power over their own futures, as well as imparting new knowledge and skills – for instance knowledge about proper planning or new construction skills. All these factors contribute to the long term sustainability of the project by encouraging responsibility amongst the community and giving them the skills they need to properly maintain a construction project. Community member Christine, a parent at Teddi Community School where African Revival recently constructed a new block of latrines, agrees: “We don’t contribute because of a penalty or a demand. We contribute because we want to see this school and community development and want to be part of that process.” At Teddi, the parents contributed 1000UGX for each of their children enrolled at the school. They also signed a maintenance agreement with African Revival, which hands over responsibility for all upkeep to the School Management Committee. While we will always be there to offer support to this particular community, they are motivated to care for the facility because it has improved sanitation at the school, especially for the female pupils, as parent Sharon explains: “I was happy to contribute to the latrine. Now our girls have more privacy”. Overall, community contribution to construction projects ensures the long term sustainability of that project, while also giving communities more authority over their own development and futures.